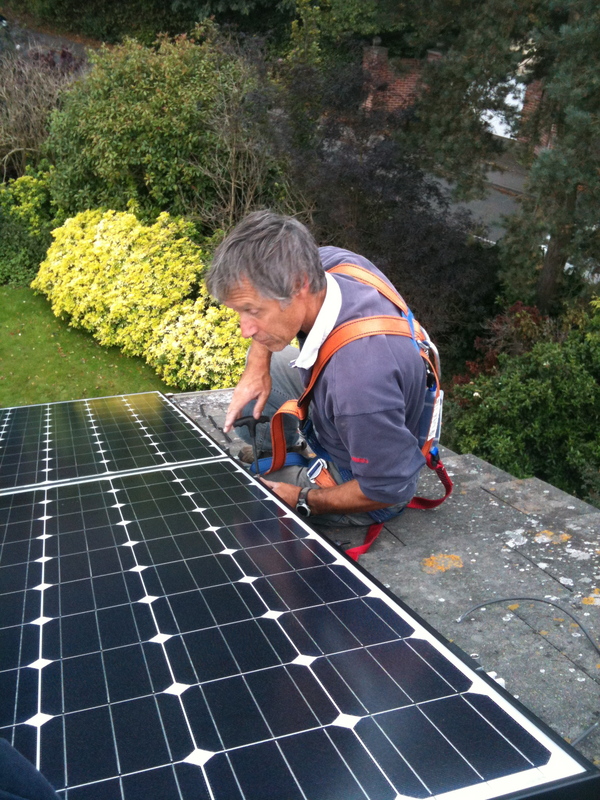 Solar panels can be fitted anywhere there is sunlight, there are always solutions so just give us a call. PV Plus are an established company with vast experience in this industry. We offer a complete package, from design and installation to aftercare and support. We pride ourselves on fantastic customer service and work hard to ensure our clients are 100% happy. We have installed Solar on local farms, offices, warehosues, schools and homes so you can be rest assured of our ability, service and rates. In a single hour the sun transmits more energy to the earth’s surface than the world uses in a year. How Domestic Solar Works: Solar panels are made of a thin layer of semi-conducting material between a sheet of glass and a polymer resin. When exposed to daylight the semi-conducting material becomes ‘energised’ and this produces electricity. The electricity produced by the PV panels is direct current (DC). Before it can be used in the home it has to be converted to safer alternating current (AC), using a box called an inverter. Electricity generated by your solar panels feeds directly into your house, so it will power any appliances you use during daylight hours. You probably won’t use all the energy you generate, so what’s left over will be exported into the grid. Your energy supplier will pay you a set rate for every kWh you generate. Each solar PV panel typically has an area of around 1.2 to 1.8 square metres, depending on the manufacturer, and will produce about 180-250 Watts. So to produce 1kW of power, you would need four or five solar panels. The more panels you can fit on your roof, the more expensive the system will be to install, but the more electricity you will produce. Panels are pretty much maintenance-free and should last for at least 20 years. A display monitor can be connected inside your home so you can see a real-time display of how much electricity the system is generating. Your home will take any extra electricity it requires from the National Grid as normal if you need more power than the panels are producing. To make the most out of your panels its advised to use appliances such as dishwashers, washing machines and tumble dryers during the day to take advantage of the free electricity generated.